Explore the winding colonial streets of Boston on your own time with this 2-hour or 24-hour Boston bike rental. Hop on a hybrid bike (combines city and all-terrain riding) and set out on the town. The pickup location across the street from Christopher Columbus Waterfront Park puts you at the footsteps of the North End, several of Boston’s picturesque wharfs and more. Within minutes, you can be pedaling past the stately brownstones in Beacon Hill or riding around the Boston Common. 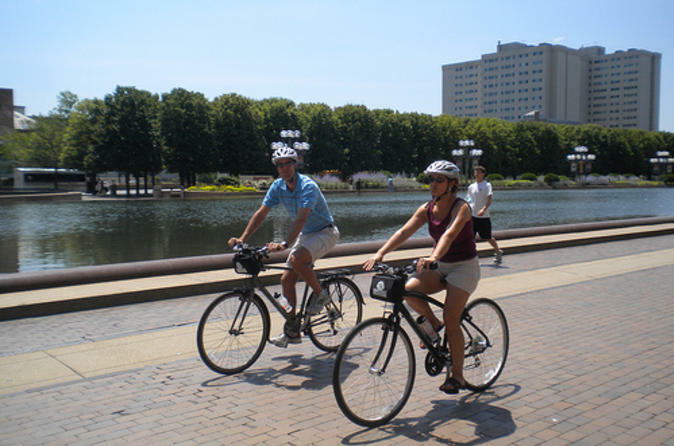 Explore the rich history and beautiful architecture of Boston on the bike of your choice! Boston’s layout makes all of the key points of interest within close proximity – especially by bike. Your start location across the street from Christopher Columbus Waterfront Park provides an excellent location to begin your exploration. A five-minute ride will put you in Boston’s historic North End – characterized by the European and Italian influence; a 30-minute ride along the Charles River will put you outside the historic Fenway Park. In between (a 5-minute ride) you'll be at the doorstep of Boston's stately brownstones in Beacon Hill. With either 2 hours or 24 hours of cycling freedom, you’ll be able to see many of the top attractions of one of the oldest cities in America.